If you’ve read any of my posts you will know a bit about the influence of the Church of England’s evangelicalism has had in shaping my way of theology and ministry. 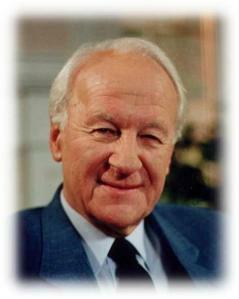 When I use the rather long term, “39-article-evangelical-anglican”, to describe myself I like to think that I am standing within the tent occupied by John Stott. Back when I came to faith in the early 1970’s, conservative American Christians who wanted more in their study had to turn to British writers: J.I. Packer, Os Guinness, Martyn Lloyd-Jones, and John Stott. And after 39 years as a Christian they are still on my shelf. Rereading them were critical in guiding my return from the wilderness of modernism and liberalism. I was even using Stott’s commentary on Romans (The Bible Speaks Today series) in my personal bible study when I first heard he died on July 27th of last year. I was therefore very excited to read that Alister Chapman, associate professor of history at Westmont College, had spent the last year revising his PhD thesis studying the life and teaching of John Stott to publish with Oxford University Press. Tim Keller calls his new book, Godly Ambition: John Stott and the Evangelical Movement, “a must-read for anyone who wishes to understand contemporary world evangelicalism.” It is a bit too expensive for me at the moment (am hoping for the ebook version), but that’s O.U.P.! Next Post Dr. Who, Star Trek, Will and Me!